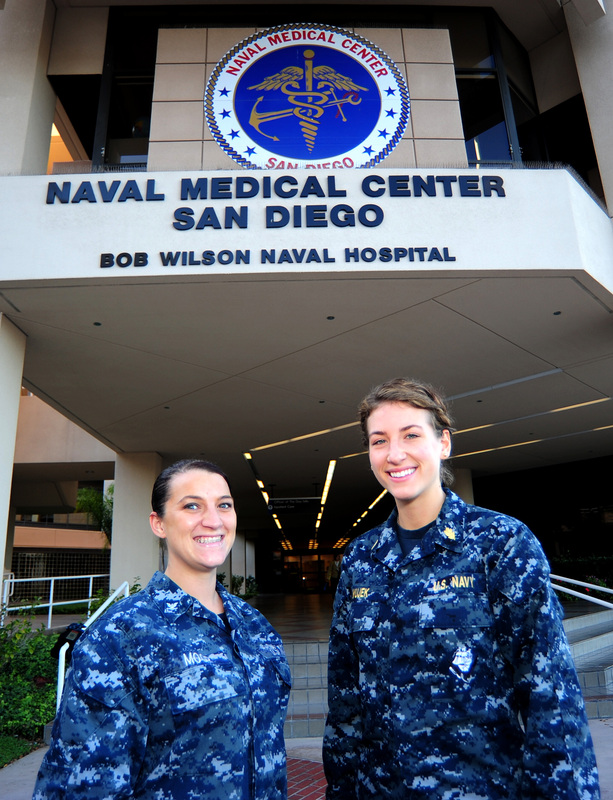 Two sailors assigned to Naval Medical Center San Diego were enjoying an off-duty day at the zoo Nov. 23 when their lifesaving skills were put to the test. Hospital Corpsman 3rd Class Stephanie Moor saw a group of people standing around an unresponsive man who was about 65-years old, according to a Navy press release. “I informed [the bystanders]that I was a corpsman from the Cardiac Rehab Clinic at NMCSD and asked if they wanted help,” Moor said in the release. Ens. Janean Wujek, a registered nurse in the mental health department, was at the zoo with her family separate from Moor when she also saw the commotion and “clicked into ‘nurse mode,'” she said. The victim was later identified as James Thompson, a Navy veteran who served as an Interior Communications Electrician from October 1965 to November 1969, the Navy release said. The two sailors worked together to perform chest compressions and rescue breathing until emergency personnel arrived to take Thompson to the hospital, where he spent eight days recovering after a surgery to implant a pacemaker defibrillator, according to the release. Can’t get enough Navy lifesaving? Check out a story on Navy Times from October about Ens. Billy Newell who received a Red Cross lifesaving award for saving another officer who was choking on her steak.